To identify and provide an effective treatment plan, effective testing is required. Ducted Air Solutions provide a range of testing services, ensuring that you receive accurate and detailed reporting on all services provided. 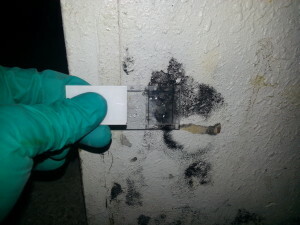 Hard surface sampling enables the accurate diagnosis of contaminants. Particularly as some moulds, and other surface contaminants are not easily visible. Biotape samples taken in compliance with strict collection protocols will accurately identify the presence of contaminants. We always forward the microbial laboratory reports on to the client. 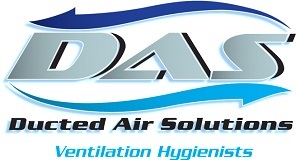 DAS uses Air-O-Cell pumps. 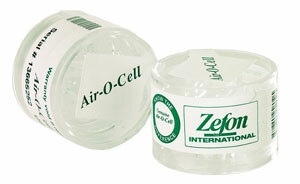 Air is collected in a cassette for a set period of time. Comparative outdoor air samples are also taken. All cassettes are sealed on site and forwarded for laboratory testing. The results of these tests are always forwarded to the client. Air sampling for CO2, temperature and relative humidity can also be undertaken upon request. Velocity testing can be conducted to ensure a system is balanced (equal airflow from each supply grill). 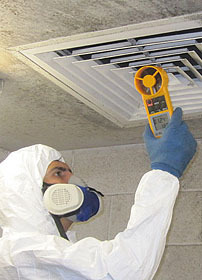 Sampling of ventilation ducts before and after remediation will provide evidence of the degree of air flow restriction, and is beneficial when determining ventilation and extraction efficiencies.